As the world continues to change the way Americans approach retirement, John Hancock remains commited to helping you retire with dignity. We understand you may have competing financial priorities that must be addressed before you focus on retirement savings, and we are here to help. Our participants first approach arms you with personally relevant advice, savings solutions, and education appropriate for your unique holistic and enduring journey. Answer a few simple questions for a complete picture of what your retirement might look like. 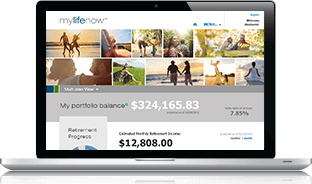 Not sure what your retirement plan options are? 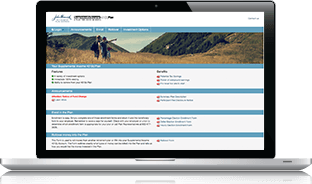 We partner with employers and their financial representatives to offer our retirement services. 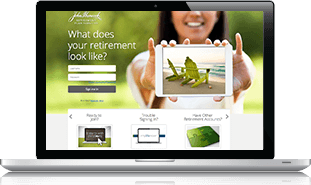 Contact your employer to learn whether John Hancock's retirement services may be available to you. John Hancock Retirement Plan Services, Boston, MA 02210. John Hancock Life Insurance Company (U.S.A.) (John Hancock USA), John Hancock Life Insurance Company of New York (John Hancock New York), and John Hancock Retirement Plan Services, LLC are collectively referred to as "John Hancock". John Hancock Retirement Plan Services, Boston, MA 02116. Not for distribution with plan sponsors or the public.